Whether you’re a small business owner or the executive of a multinational corporation, black tea could be your secret to employee satisfaction, and a ticket to the long-term success of your business. Speciality tea that demonstrates your investment and care for your team members may be one of those small, significant changes. Having some premium tea available for your team members can turnaround a day at the office, improve your week’s outcome, and elevate your entire company performance. Your day-to-day company performance is in the hands of your employees, and the happier they are, the better your business. From the way you’re perceived by customers to developing partnerships with other companies, and to your bottom line – your employees shape your business. The more they care about their work, the more success you experience. So, what can you do to make your employees care about your business, feel empowered, and approach each day with unstoppable energy? The answer is simple, affordable, and super accessible. Black Tea has been used for centuries to boost productivity, increase energy, and for its innumerable health benefits. 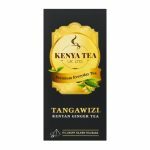 By stocking your office kitchen with some premium Kenya Tea blends, you’re investing – not only in your employee satisfaction – in the long-term success of your business. 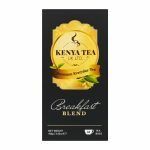 With powerful antioxidants that can help reduce the risk of a variety of different cancers, and a healthy dose of caffeine that ups energy, boosts brain function, and triggers inspiration – for many businesses, Kenya Tea is both the elixir of life and a ticket to business success. Providing a little black tea, or other premium tea for your employees packs a double punch. Your staff will appreciate that you’ve invested in a high-quality product that significantly enhances their wellbeing. They’ll appreciate you, and immediately feel a sense of empowerment after just one cup. With employees that feel cared for, get a daily energy boost, and remain invested in the success of your business, you’ll have the energetic, focused team able to outshine your competition, and launch your company to the next level. 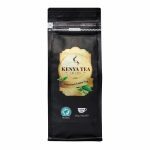 Kenya Tea is here to provide you that exceptional resource.